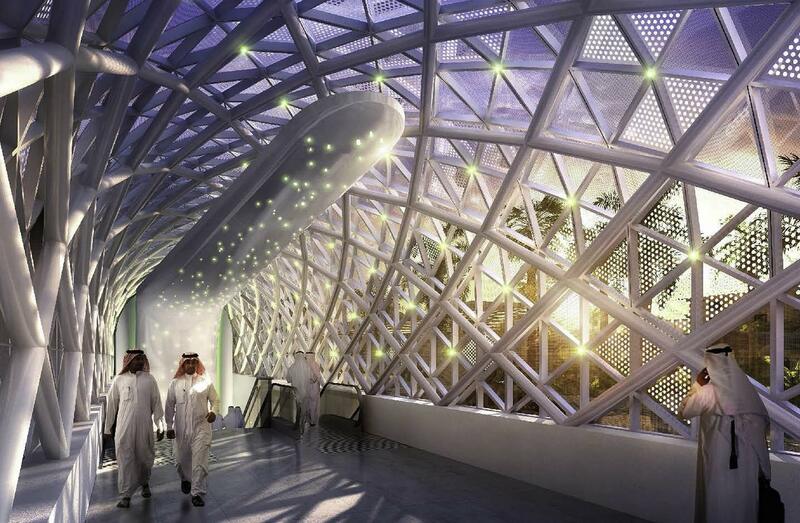 Koltay Facades designed and specified the glazed tubular enclosures for 22 metro station entrances pavilions serving two of Riyadhís underground lines. The main structure consists in a series of crossed steel runners, supporting the outer skin made of triangular insulating glazed units, some of which is featuring a fritted ceramic pattern to reduce the solar heat gain and provide added shading. The scope included thermal and structural calculations of each envelope element with a focus on assembly sequence and water drainage strategy, specifying step by step how the continuous gaskets system should have been managed at interface locations.